The musical project of Matt Crowley, Tori Holleman and Marco Vella; Retiree have steadily congealed their broad influences into a unique emulsion of strongly rhythmic and emotional music. 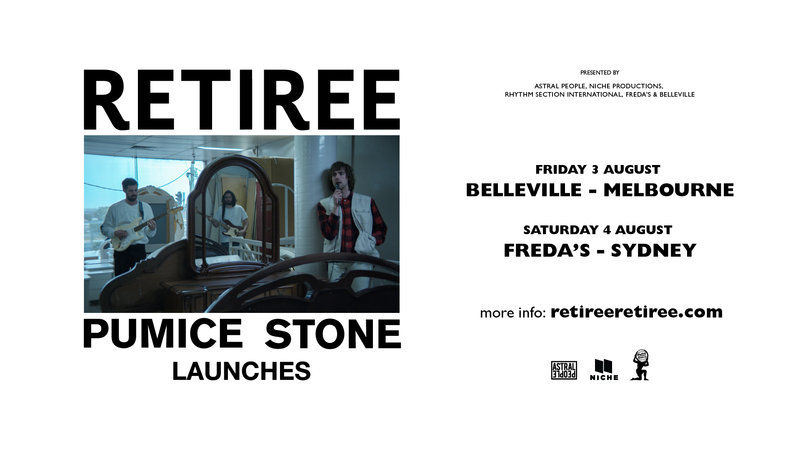 Retiree have teamed up with director Joey Knox and cinematographer Jesse Gohier-Fleet for the video, shot in the time warped store room of Franco Cozzo in Footscray, Melbourne. More steaming hot Retiree is on the way so keep your ears to the ground.